Greg Samuel and his wife Phaedra have been in the transmission business since 1992. Having owned a successful transmission repair facility for over 15 years building upwards of 800 units a year, they saw the need to manufacture there own performance converters and racing transmissions to assure the highest quality available at reasonable prices. Being competitive bracket racers, they understood the importance for quality, consistency and reliability. 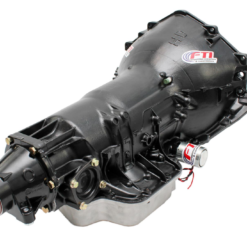 Today, each FTI Performance converter and transmission is custom built to the customers individual specifications. 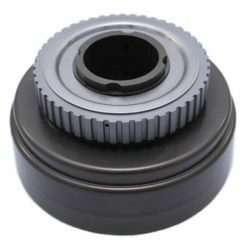 FTI is quickly becoming the standard in the performance industry with our innovative state of the art torque converter and transmission design. The FTI Performance research and development team produce new products on a daily basis from Stock to Top Sportsman, from Street to Pro Mod. Our attention to detail and forward thinking sets us apart from all other manufacturers. With the latest technology and design available no where else, it is clear to see why people are winning races everywhere in all categories of racing with FTI. Our customer oriented technical support is the pride of our company and assures that you get the support you need, when you need it. When a customer signs on with FTI they become part of our family, the winning FTI family.